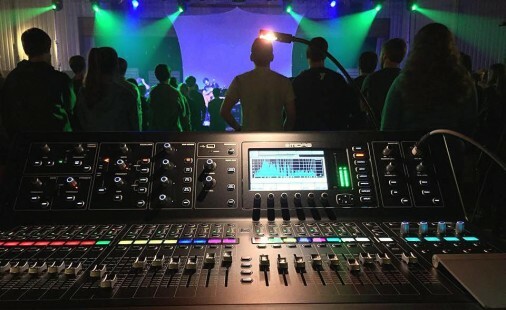 CNY Productions Syracuse New York – Professional Sound Systems, Lighting Services and More! CNY Productions has been providing production services since 1985. We provide complete PA and lighting services for all types of special events from live concerts, DJ type events, corporate functions to spoken word. We have a large inventory of equipment, so we can tailor a package for your specific needs. We also design and install sound and lighting systems for many applications, ranging from nightclub and concert systems to all types of commercial establishments, including restaurants, taverns, art galleries and special events. Our entire staff has extensive training and experience, so you can rest assured that you will receive top-notch service. We proudly use the best equipment in the industry, such as Crown, EAW, JBL, Midas, Soundcraft, Pioneer, Rane, Technics and other quality products. CNY Productions is a registered and fully insured business that is on file with the city of Syracuse, New York. References are available upon request. Our services are available throughout the state. Feel free to call or email us with any questions. All messages are promptly answered. Ask about our new Wireless Battery Powered Uplights! Complete Professional sound and lighting services, from small to large. Live shows, DJ type events, corporate events & spoken word. Permanent and temporary sound system and lighting installations.